Commodity smart phones and initial Internet-of-Things (IoT) devices have made the visions of ubiquitous computing common place. However, despite the rapid adoption of this technology, we have not progressed much past the use of location-based systems in commercial ubicomp systems. The Ubicomp Lab at Carnegie Mellon University has been using people’s interactions with such devices to better understand human behavior and routines. In this talk, I will describe the value of leveraging human behaviors and routines in interactive mobile and IoT-based systems. I will demonstrate how the ability to opportunistically extract these routines (and anomalies) can dramatically enhance interactive systems in a number of domains, including healthcare, driving, education, and sustainability, as they can be used to create effective interventions and supporting systems. topics and serves on the editorial board of several journals. 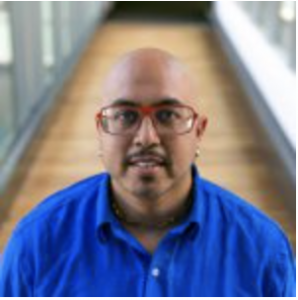 In 2015, Anind was inducted into the ACM SIGCHI Academy for his work on context-aware and adaptive systems. Anind received his PhD in computer science from Georgia Tech, along with a Masters of Science in both Computer Science and Aerospace Engineering. He received his Bachelors of Applied Science in Computer Engineering from Simon Fraser University.